Looking for a large bed and a large room with extra amenities? 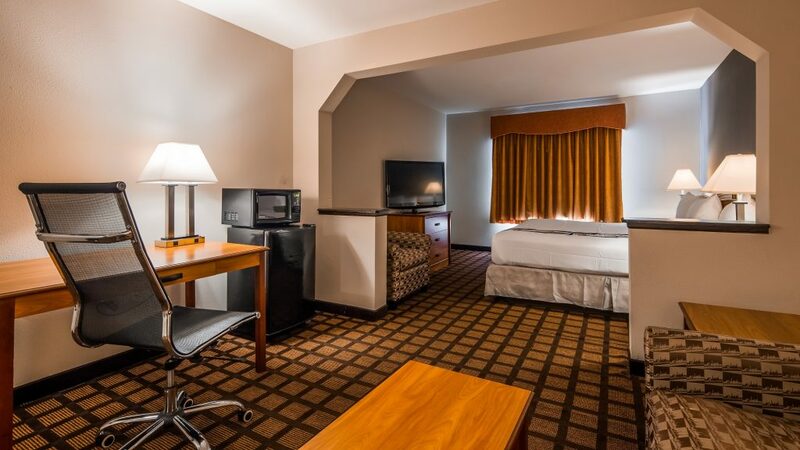 Best Western Midway’s King Suite rooms offer you more. 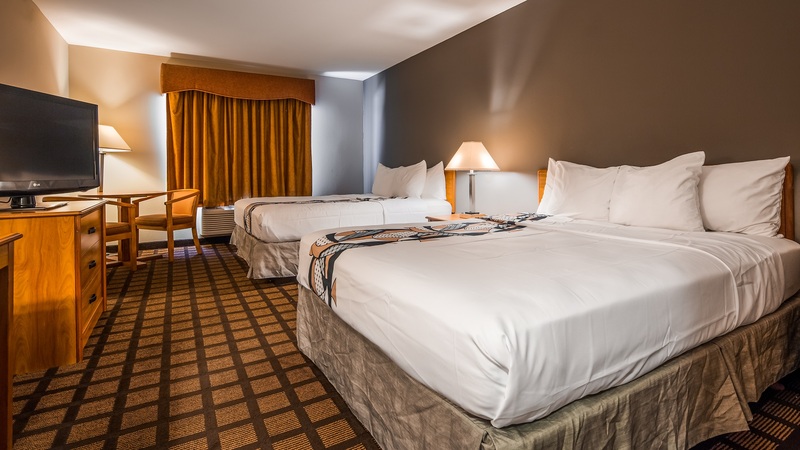 You get the plush comfort of our luxurious King size mattress complete with quality bed linens and lots of pillows, and the extra spaciousness of our suite, which comes with a separate sleeping area, and a living room complete with a couch and in-room refrigerator. Feel like a King and stay in maximum comfort during your stay with us. Best Western Midway’s King Suites are a great place to rest and relax between social events, touristic outings or business activities such as trade shows. 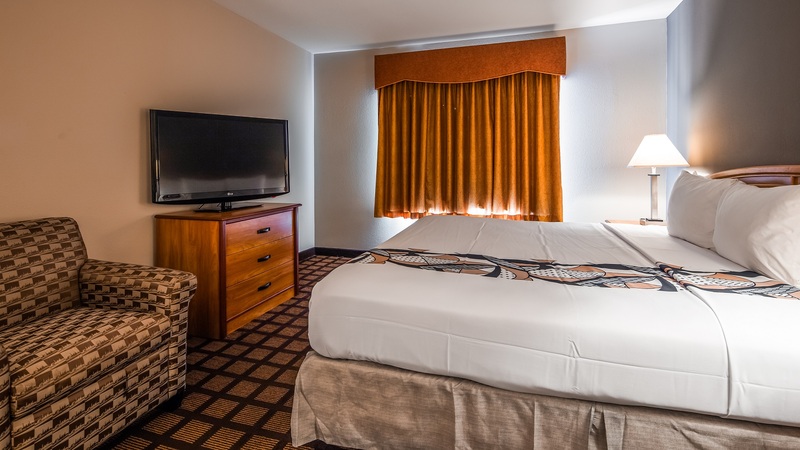 Staying in one of our King Suites gives you options, maybe you’ll want to kick back on the comfortable mattress and catch a movie or catch up in some episodes of your favorite TV show. Got to meet business colleagues or a client, our King Suite provides comfortable accommodation for a relaxed but professional meeting. Need to connect to the office remotely or have a conference call, our suites come with in room Free WiFi making it easy to stay connected. The work desk makes it easy to set up your laptop and be productive and don’t forget our business center if you need something printed out. If your trip in more pleasure than business you can still catch up on e-mail or search the website for your next day’s activities, from the comfort of your room. Rooms for the Physically Challenged: Available – please request at the time of booking by calling us directly.